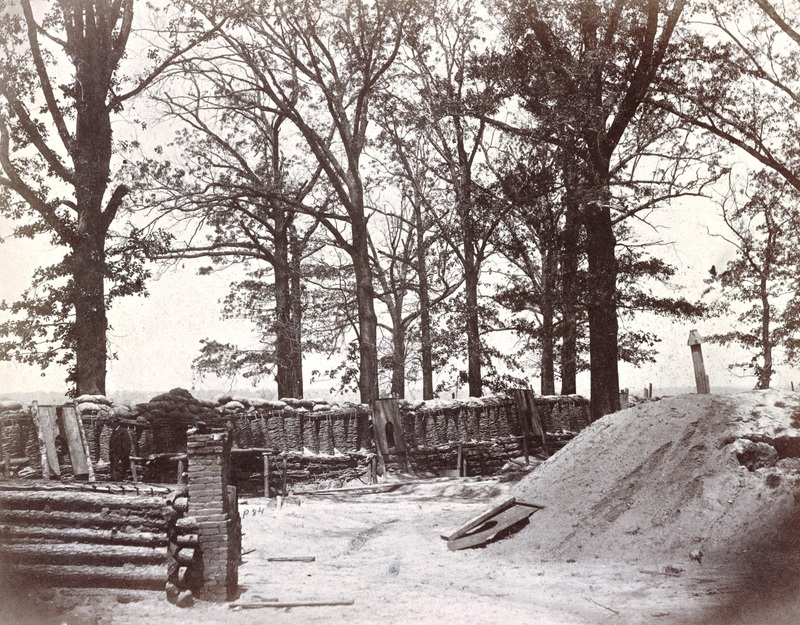 The interior of Fort Stedman. Click to enlarge (Library of Congress). In this letter from March 25, Theodore Lyman describes the fighting. He will resume his narrative tomorrow. 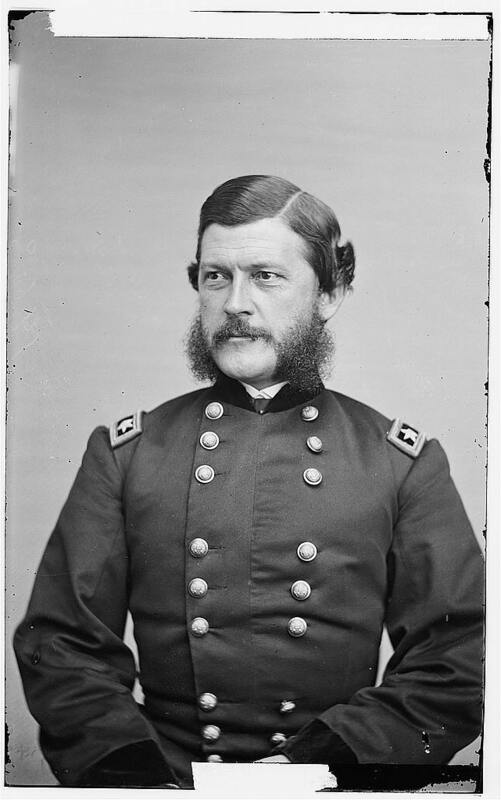 General John G. Parke, commander of the IX Corps (Library of Congress). We may indeed call this a many-sided field-day: a breakfast with a pleasure party, an assault and a recapture of an entrenched line, a review by the President of a division of infantry, and sharp fighting at sundry points of a front of eighteen miles! If that is not a mixed affair, I would like to know what is? It has been a lucky day, for us; and the 9th Corps, after patient waiting for eight months, have played the game of the “Mine” against their antagonists. The official despatches will give you the main facts very well, but I can add some particulars. About daylight, the enemy having massed three divisions and a part of a fourth, made a sudden rush and carried Fort Stedman and about half a mile of line commanded by it. The garrisons of the forts on either side stood firm, however, and repelled a severe attack with much injury to the enemy. Meantime, General Parke had ordered that the works should be retaken, if it cost every man in the Corps; and all the scattered regiments immediately at hand were put in and checked a further advance, until General Hartranft (I’m not sure about the spelling of his name) brought up the 3d division, which had been camped in reserve. He personally led in one brigade of it, with conspicuous gallantry, retook the whole portion lost, and captured, at one swoop, 1800 Rebels. It was just the “Mine,” turned the other way: they got caught in there and could not get out. Their loss also in killed and wounded must have been severe, not only from musketry, but also from canister, which was thrown into a ravine by which they retreated. Upwards of a hundred Rebel dead lay in and round Fort Stedman alone. Our own losses in the 9th Corps will be somewhat over 800, half of whom may be reckoned prisoners, taken in the first surprise. I should guess the loss of their opponents as not less than 2600. Theodore Lyman’s letter is from Meade’s Headquarters, 1863-1865: Letters of Colonel Theodore Lyman from the Wilderness to Appomattox, pp. 322-3. Edited by George R. Agassiz. Boston, Massachusetts Historical Society, 1922. Available via Google Books.